This thread is for showing off your Jastas and FliksPlease do not make comments on the thread, I opened a comments thread for this purpose, lets leave this for painted models only. Only stipilation is the unit can be of any number as long from the same flight and or Squadron and be a minimum of three (3) models. so yes you can have three aircraft from the same squadron but different flights for example. Last edited by Oberst Hajj; 10-07-2012 at 21:37. Another Jasta, surely Jan & I are not the only ones with units of three or more ? Last edited by Fat Wally; 02-03-2015 at 05:45. Last edited by Fat Wally; 02-03-2015 at 05:48. 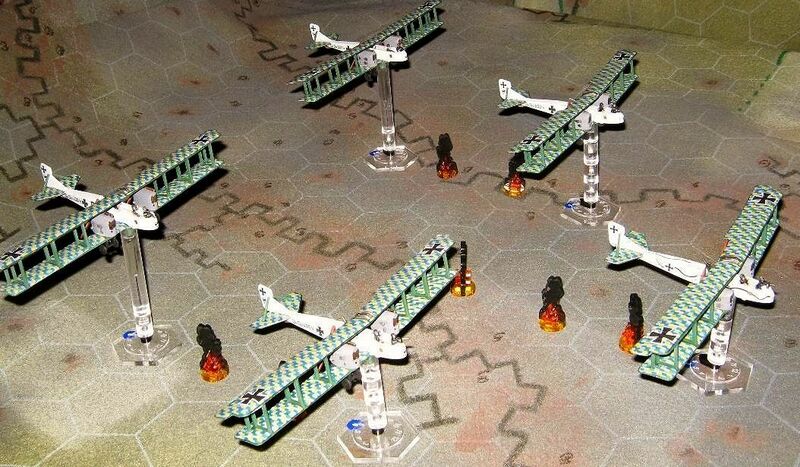 These are totally awesome paint jobs. You guys have done a really great job on them. L to R: Shapeways Franz Pernet, F Toy Hermann Fromhertz's 'Blaue Maus', Shapeways Gerhard Bassenge & Nexus Werner Voss. Last edited by Fat Wally; 02-03-2015 at 05:54. Wow those Jastas look simply amazing guys. Here are a Flight of three DIIs of Jasta Boelcke from November 1916. Last edited by Skafloc; 09-08-2015 at 14:54. EDIT: The schemes match those used by Flik 61J, however, two of the three personal emblems are completely fictional. 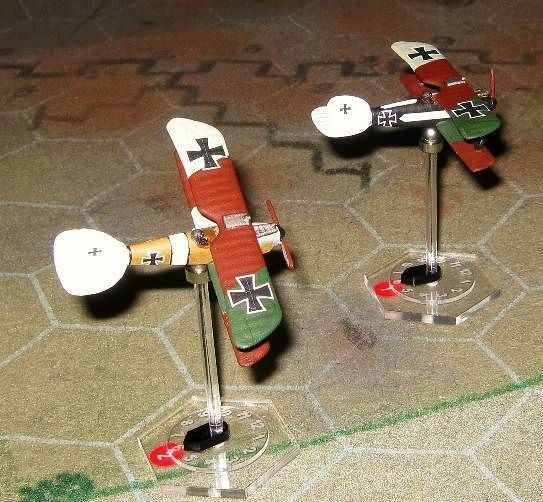 The models used are Nexus Albatros D.III's (Hautzmayer and Voss). Last edited by Watchdog; 04-02-2013 at 11:11. My "Waspen" Flight, with thanks to Andrzej for permission to use his idea. I have given Kudos for these and your solo Rumey as they so richly deserve. Nice one Tony,where did you get the green checks for Rumney? Last edited by Boney10; 12-08-2018 at 18:47. Nice on Tony,where did you get the green checks for Rumney? They are white/clear 1.5mm checks from 144-Direct (ebay seller) over a green base coat. How did I miss you doing this beauties Rob? They look great! Now that I have seen the other chaps efforts, I may be adding a couple more. Those look great John, but you need to correct the white balance on those photos to really show them off! Just learning, thanks for the tip!!! Note to self: reread instructions. Nice to see something different John. They are a good looking bunch of aircraft. Tried to send you a message and this came up. Boney10 has exceeded their stored private messages quota and cannot accept further messages until they clear some space. A flock of ravens is a very impressive sight! Awesome job! Many thanks - Jasta 15 next. Very impressive murder of ravens. 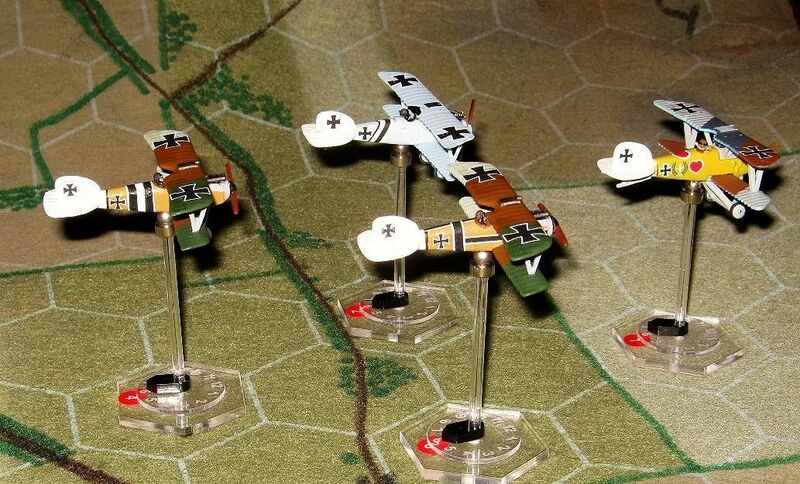 My Jasta 15 repaints - Nexus Schafers (Veltjens and von Hantelman) and Udet (von Beaulieu-Marconnay) paint scheme and decals by Dom Skelton. I was lucky enough to purchase a job lot on ebay, which included 7 Jasta 15 repaints. 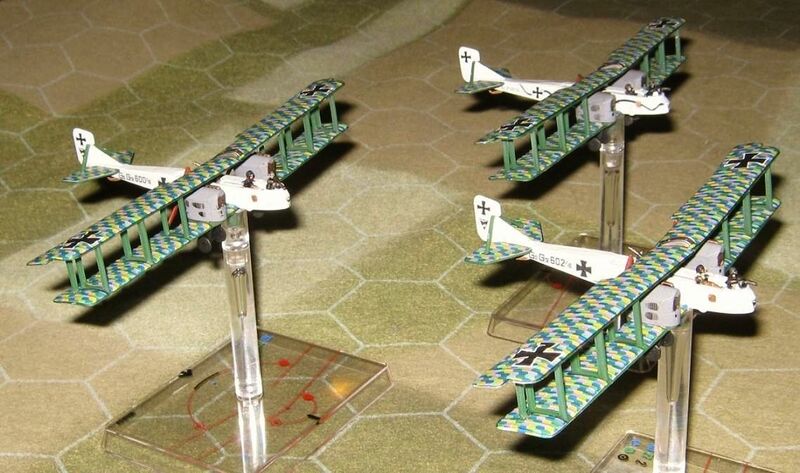 I have repainted the missing three, to give me a complete Dom's Decals Jasta of 10 Fokker DVIIs. I only retouched the first seven planes (new Red for the cowlings, Gunmetal "moustache" radiator grilles, factory finish Violet/Green wheels and undercarts where appropriate) so I can't, and don't, claim credit for those aircraft. Can't wait to see them all in action Tim ! 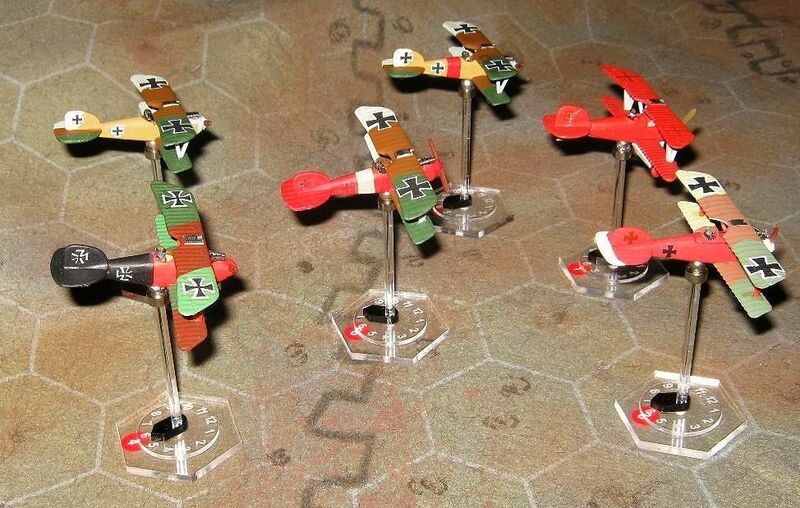 I was lucky enough to purchase a job lot on ebay, which included 7 Jasta 37 repaints. 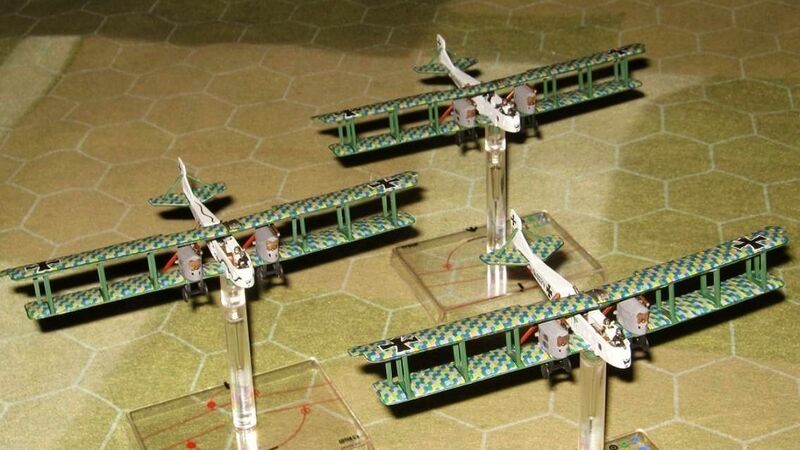 I have painted up the missing five, to give me a complete Dom's Decals Jasta of 12 Albatros DVas (actually, 11 + 1 DIII no.6). I only retouched the first seven planes (new 'cavalry brown' for the cockpit leather trim, 'gunmetal' engines, black/white horizontal tail surface overpaint, natural wood prop blades and new wingtop radiator decals) so I can't, and don't, claim credit for those aircraft. Last edited by Flying Helmut; 02-23-2014 at 14:48. Reason: spelling! That is a very impressive sight Tim. The paint job on those looks superb. Many thanks all, and thanks for the REP! I suppose I'd better start some Entente opponents for this lot!